If you are juggling credit card debt in the thousands of dollars, then beware of choosing those 0% introductory offers for credit cards. If you think you can merely switch your balances from a card where you are paying a high interest rate to the “introductory” card, it’s really not a viable solution. Think about the Results – Will You Really be Making an Improvement? You might think that transferring a high-interest balance to one of your low-interest cards might work too. However, consider your thoughts carefully before you decide either way. If you transfer the balance, you usually are just moving your debt around. Plus, that 0% introductory rate will typically transform into an 18% APR after about six months. So, needless to say, you might be better off looking for a way to restructure what you have to pay. Because most Canadian households owe about $6,000 to $8,000 in credit card debt, debt consolidation and counseling is a service many Canadians are pursuing. Those high interest rates and tempting introductory 0% offers are making counseling and consolidation a thriving enterprise in North America. Indeed, those zero rates are teasers – meant to keep consumers paying on their credit cards instead of paying off the amounts. Again, introductory rates usually last no longer than six months, so they only offer a reprieve for a credit card user – not a long-term solution. That money will still be owed in the future at a higher interest rate. Therefore, it’s best to bypass introductory offers and, if you must choose, leave the debt you owe on a card with a lower APR. However, if you are tired of just getting by from month to month, you might prefer to consolidate your debt or obtain a loan that has a loan rate lower than your credit cards. A consolidation loan takes all your loan payments and combines them so you only have to pay one monthly bill. 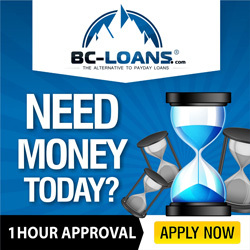 Ideally, you can obtain the loan at a better and lower interest rate than what you normally have to pay on your credit card accounts. Still, that being said, you do have to be careful if take out a loan that is collateralized, especially if your home serves as the collateral. If you fall back on your payments, you also stand to lose your home. While home equity loans offer much lower interest rates, they increase the risk of foreclosure as well. If you think the above solution is a risky proposition, again, you can always turn to a company that offers debt consolidation and counseling. In turn, the agency will become your representative – working with your creditors to lessen the fees and interest on your credit card debt. While contacting a credit counselor may be reflected on your credit report, it still is better than taking out a home equity loan and risking any possibility that your home could be taken as well. Some lenders will provide consolidation financing with short-term low APRs. However, if you do not pay off your obligation by a specific date, you will still have to pay back the amount at a higher APR. Contacting a finance company that focuses on debt consolidation financing too is not a viable solution as the fees for the loan are usually too excessive to be affordable. So, given the above information, it’s not surprising that Canadians, who have investigated all the alternatives, will turn to a debt consolidator to manage credit card debt. However, before you seek information from a consolidator and counselor, it may be better to contact each of your creditors to try to negotiate payback first. Talk to your creditors about setting up a plan that enables you to pay back your card debt at a lower interest rate. Remember – once you turn over your information to a debt consolidation agency, you won’t be able to control the payments on your cards. It’s also a good idea to make the decision to focus on changing your borrowing and spending habits before even taking out another loan. Ask yourself what you can do for yourself that is also handled by such a debt consolidation agency. People who have taken out student loans also can owe a lot in the way of credit card debt. Some borrowers have resorted to transferring portions of their student loan debt to their credit cards and therefore can owe as much as $30,000 to $50,000 in credit card obligations. Unfortunately, consumers who make this move ultimately find that it drives them deeper into debt. That’s because student loans typically carry single-digit interest rates and also provide more flexibility with respect to payment. Once you transfer any amount to your credit card, you automatically are paying a much higher APR – again, in the neighborhood of 18%. Unless you have the ability to pay off the credit card fast, you will find yourself in even a worse spot financially. Also, it’s not so good to deal with an agency that conducts business primarily by phone or fax. Nor is it a good idea to pick a consolidator that heavily advertises its services by phone or the Internet. Follow the caveat – “Buyer Beware.” Your first month of payments will probably go to the agency, not to your creditors. If your goal is to dig out of credit card debt then, it’s best to remove the plastic or the source of your problem first. Cut up those credit cards and leave one or two low-interest cards out for emergency spending. If your credit profile suggests that you are continuing to struggle with debt, take a proactive, if not a determined, stance to get rid of the debt. All you need is a pair of sharp scissors to facilitate the process.